Ancient magicians used black tourmaline as a talisman to protect against negative energy and evil forces. 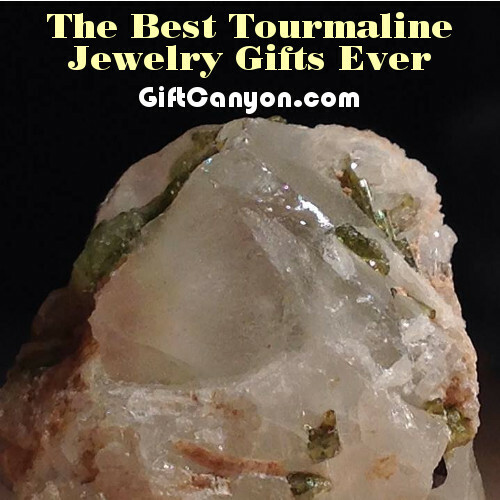 Today, many still believe that it can shield against radiation, pollutants, toxins and negative thoughts and a lot of people still believed that tourmaline promote artistic and creative expression. 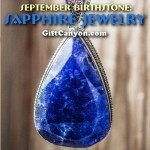 To make October celebrants’ very happy and 8th wedding anniversaries more meaningful, a choice of jewelry will perfectly complement these celebrations. 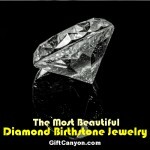 Below is a choice of these fine jewelries. 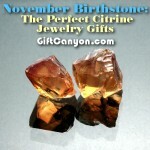 Tourmaline is considered as a highly valuable gemstone in the jewelry marketplace since it is the birthstone of October. 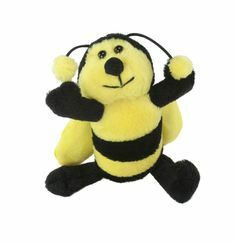 It comes in many colors such as blue, green, orange, pink, purple, red, yellow, brown, black, and even colorless. Thus, this multicolor tourmaline is a perfect selection of the pink, green and orange tourmaline jewelry that comes in an earring. 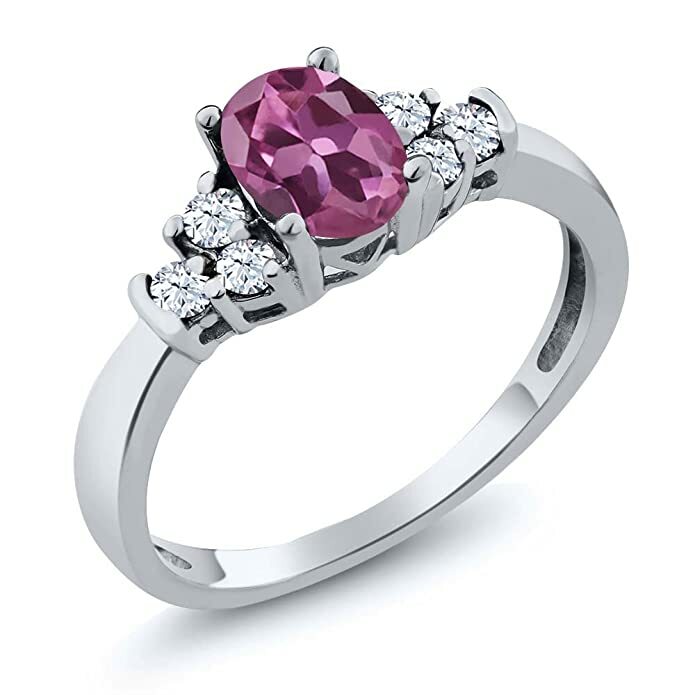 It is crafted in 925 sterling silver and the gemstone measures .83 carats set in 4 prong settings. 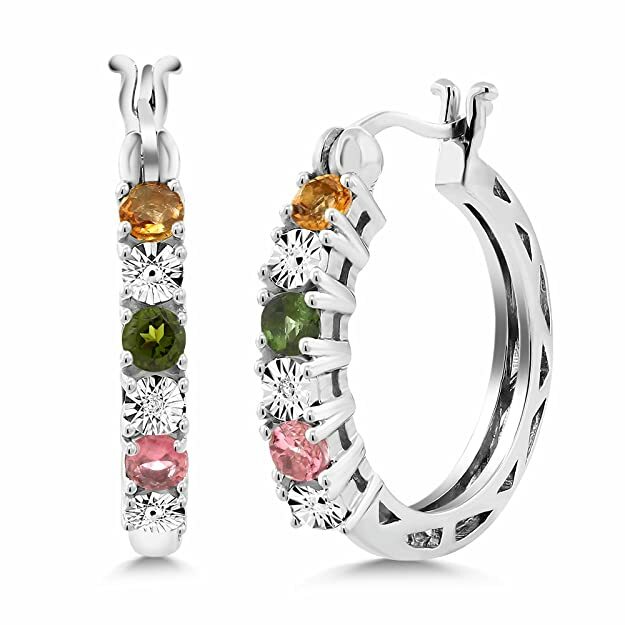 This earring comes in six stones of different colors and has lever back closure. 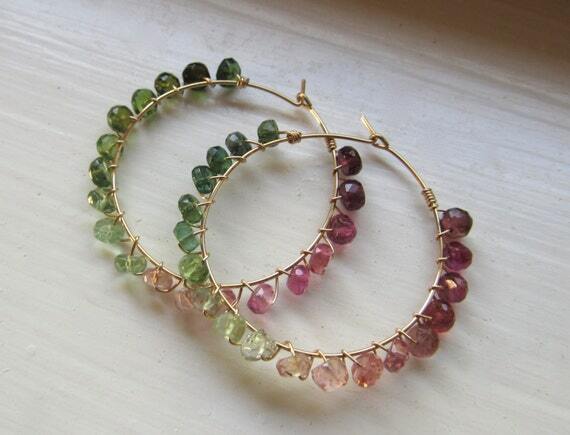 These hoop earrings are made of ombre of watermelon tourmaline stones in gradient multi large hoops of pink, white and green. 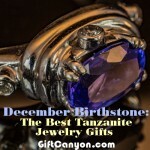 The stones are wire wrapped in gold fill or solid sterling silver and not plated for a maximum longevity of the jewelry. The hoops are approximately 1 inch in diameter and will surely be the perfect accessory and color for spring outfits. 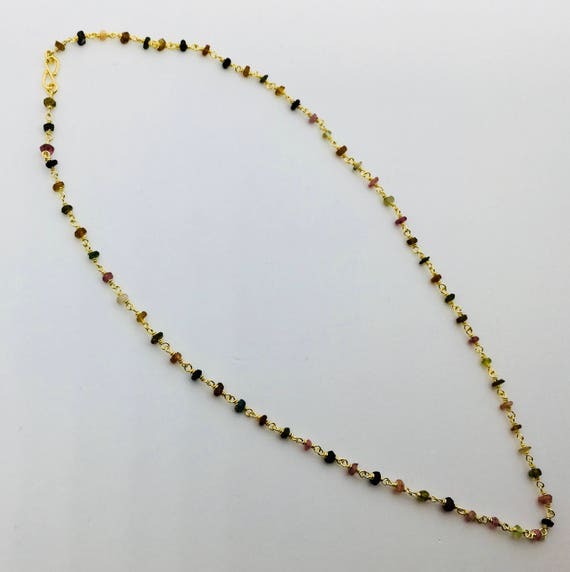 This is an 18 inch natural tourmaline necklace with a gradual change stone size design and heart clasp closure made of metal in strung setting and strand in chain. 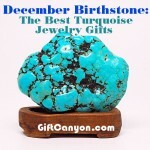 The total metal weight is 1.52 ounces and the natural tourmaline stones are shaped in round in multi colors of blue, black and red. 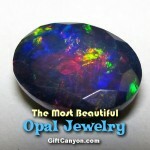 The stones length and width measures 8 millimeters. 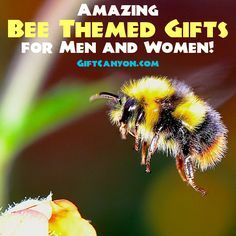 A brilliant gift to give for a loved one. 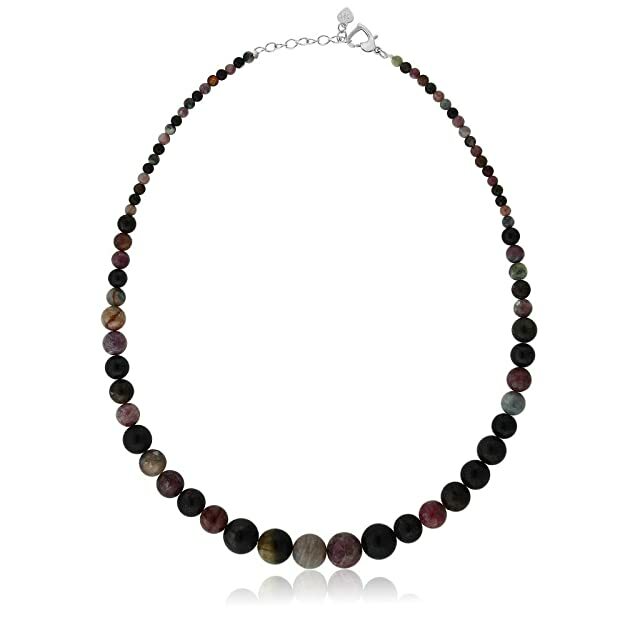 This custom made necklace in gold plated or sterling silver features multi-color tourmaline gemstones. This necklace measures 18 inches that can either be shortened or lengthened depending on the fashion specifications. Round pearls or flat coin pearls can also be added to the necklace to add more design and beauty. 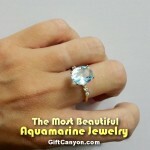 This gorgeous ring will definitely offer a carefree and comfortable wear on the finger. 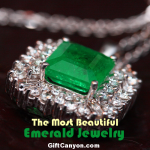 Its classic design is truly a gorgeous piece that deserves a spot in every jewelry collection. 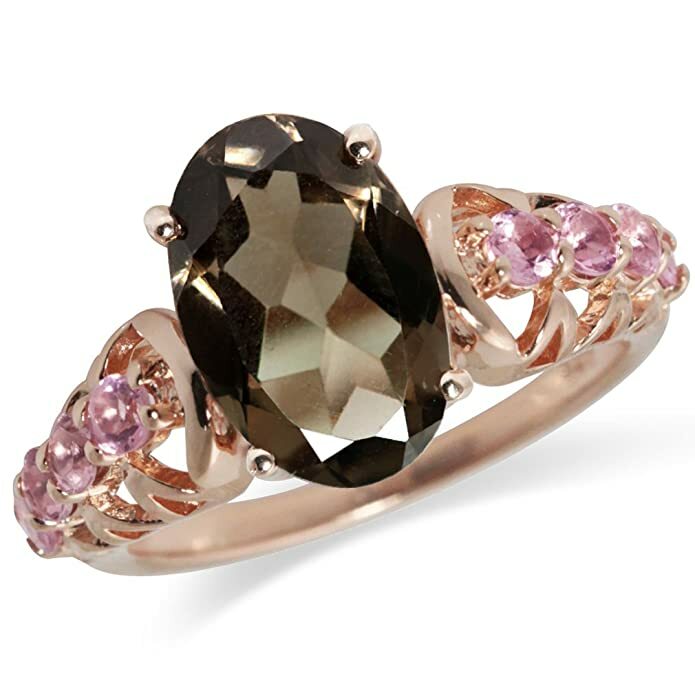 This ring is made of 925 sterling silver with tourmaline and topaz as gem stones measuring 6 x 4 mm and 2 x 2 mm respectively. 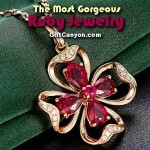 It has a 4 prong setting that comes with 7 oval shaped gemstones in pink tourmaline and white topaz. 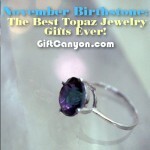 This This elegant ring made of quartz and tourmaline in a cocktail ring design ring is one piece worth keeping especially if you are an October baby. 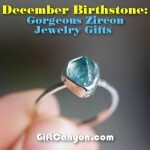 This ring is made of sterling silver with a total gem weight of 3.20 carats but stone weight itself has 2.72 cts. 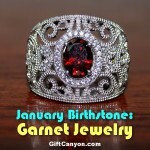 It has a total of 9 stones in oval shape design in smoky color. 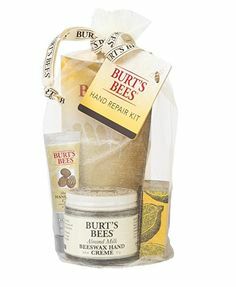 Perfect addition to your jewelry collection. The gem in this bracelet makes it look beautiful and romantic all at once. This stylish arm candy in a 3 – raw wrap around design with sterling silver leaf charm is crafted to a standard of perfection. 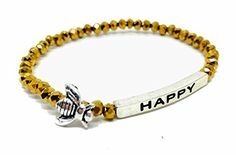 This bracelet is a truly outstanding piece that belongs to every jewelry collection and a must have for October birthday celebrants. 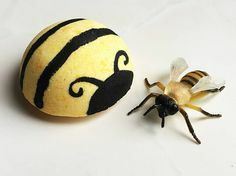 So, grab one now and make ones birthday meaningful. 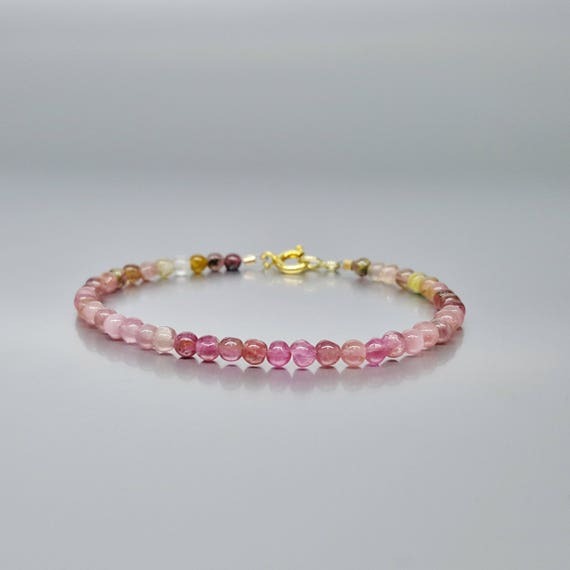 The slightly shaded pink tourmaline beads are all cut by hand and have a polished finish, the stones in the bracelet are arranged from pink to green, and give the watermelon effect. The beads are strung on stainless steel and have a secure lock made of 14K gold plate. 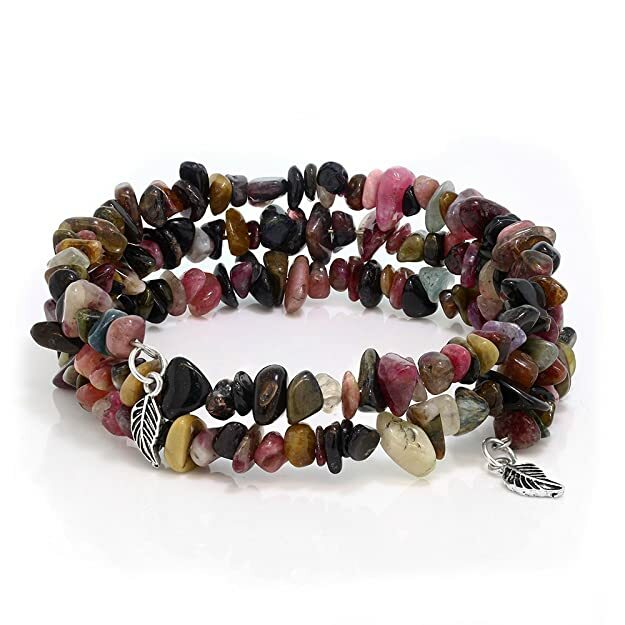 All the stones in the bracelets are natural stone and is handmade. The slight differences in color and size may occur but definitely all gold plated items are sterling silver and three times 14K gold plated.